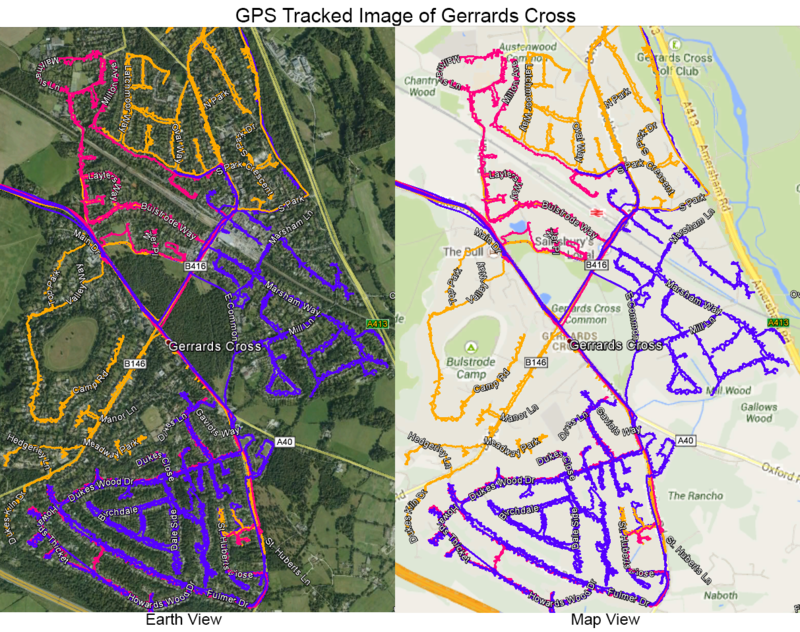 Abracadabra Leaflet Distribution offers reliable GPS tracked leaflet distribution Gerrards Cross SL9. We pride ourselves in providing guaranteed GPS tracked delivery using the latest technology, geotargeting and bespoke mapping solutions to tap into target markets in the most economical way. We know that having an impressive leaflet design alone does not make a campaign a success which is why we’re here to help you with your direct marketing campaign. We offer a free one-to-one consultation with one of our in-house marketing experts which will help you to make your campaign as successful and effective as possible. In addition to this first-rate service, our graphic team offers customised design, print and distribution packages to help you achieve the best possible return on your investment; we offer a discount on our distribution services if you have both your leaflets printed and delivered by us! We also follow an ethical code of conduct and industry norms as laid out by the Leaflet Distribution Organisation(LDO), which will help to give you added peace of mind. But don’t just take our word for it – see what our clients have to say about us by visiting our testimonials page! FREE report on the completion of GPS tracked flyer delivery, so you can view the exact route the leaflet delivery person took during distribution, as seen in the above image. Gerrards Cross is a town in Buckinghamshire. It is in the south of the county, near the border with Greater London, south of Chalfont St Peter. 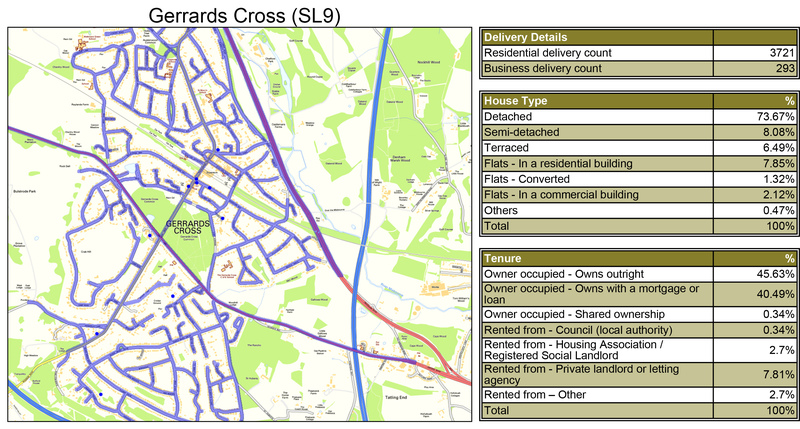 For your direct marketing campaign, Abracadabra Leaflet Distribution Gerrards Cross can cover the town of SL9. Get a saving on your leaflet delivery when you order both your print and flyer delivery together from us! With our leaflet delivery service attracting a repeat business rate of over 78%, you can’t go wrong with our one stop shop comprehensive service.